Batemans Brewery are making a bigger effort in London. Their beers are in Nicholson's pubs already and they are keen to be better represented in the Capital and will also be hosting "meet the brewer" style evenings. Watch this space for details. The Bree Louise in Euston are having a new stillage installed increasing the number of beer available from 10 to 15. 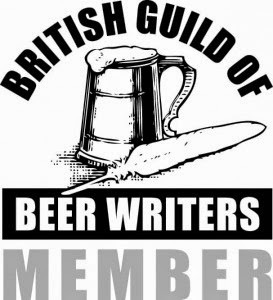 Beer is still 50p off each pint for CAMRA members and 50% of their real ale sales are to CAMRA members and they have signed up over 70 of their regulars to CAMRA membership. A hardy effort. They will also be installing a micro brewery in the cellar in the new year. Watch this space for details. Our good friend, Eric Mills, late of the Wellington and Bedford Arms in Bedford, is now gainfully employed by M&B and awaiting his first assignment. Watch this space for details. Vinopolis are hosting a Fullers tasting of 12 beers, together with guest speakers, a meal and band. Unfortunately £37.50 a head. Watch this space for details. The Oakham pub in Kennington which has been "opening shortly" for 18 months is wrapped up in development planning red tape but is still going to open at some point. Watch this space for details. Otley beers are on their way to London. The prize winning brewery from South Wales is hoping to make a monthly delivery to London, returning the month following for empties. We have provided a list of pubs that might take their beers. We also introduced the Otley boys to the delights of the Wenlock. I have just spent three days manning the CAMRA stand at the Beer Exposed exhibition. Many CAMRA members that I spoke to in recent weeks were sceptical about this event, about the price (up to £20 or so), the tiny tasters and the abundance of non real ale and as a result there were very few of the same old faces present. Well, those sceptics missed a cracking event. Beer talks by enthusiastic speakers such as Garrett Oliver and walks around the event hosted by leading beer writers were accompanied by about 50 exhibitors showcasing their best beers from around the world. Everybody I spoke to said what a good event it had turned out to be and it is certain that the organisers will put on the same again next year. The companies such as Fullers, Jaipur, Otley, Brew Dog and Shepherd Neame had knowledgeable representatives from their respective companies presenting their beers. Those who relied on agency staff such as Tsingtao also had to rely on gimmicks such as half dressed girls to get people to try their beer. Horses for courses, I suppose. This was an ideal chance for even the most hardened CAMRA activist to break free of the real ale shackles and try other beers. Admittedly the best ones (IMHO) were real ale or bottle conditioned but there were also great "aggressive" beers from Scotland, extreme beers from American micros, a very rare Polish porter and even beer from Ethiopia (where it is sold for about 15p a bottle). All in all a great week. CAMRA got to spread the gospel to an audience that we don't engage very often and we managed to sign-up well over 30 new members to the cause and sold a few books too. The lastest issue of London Drinker magazine has been published and will be delivered to the pubs over the coming days. For those who cannot wait, or who do not visit a pub that stocks the magazine, the online version is identical and is now easy and quick to view and download, either as a complete magazine or is smaller chunks. The electronic version is available here. Click on publications, the latest issue is 2008, volume 30, issue 5. London Drinker circulation is now 46,000 copies every two months. 30,000 are distributed by JD Wetherspoons throughout their pubs in the London area. The rest are distributed to London's pubs and beer festivals by CAMRA volunteers. Circulation is only constrained by the number of volunteers. We print as many copies as we can logistically distribute quickly. Copies are collected by volunteers from the Royal Oak, SE1 and taken to their local pubs. CAMRA branches are making an effort this year to engage more members to take part in social and campaigning activities. Something that is working for North London branch is a new email list for for general discussion of local pubs and social events. The North London branch covers the London Boroughs of Camden, Islington, Brent, Haringey and parts of Hackney. As well as organising the well known London Drinker beer festival every March it also holds weekly social meetings in pubs and at beer festivals in the branch. Details of all events will be publicised on this email list. This email list is open to everyone, not just those that live within the branch area. It is also open to non-CAMRA members. The weekly "what's on" message is gathering momentum and includes a variety of useful information. The Observer at the weekend carried a half page article entitled "Dismay at vanishing art of the pub sign"
Well, readers of this blog know otherwise. Pub sign art is alive and well in South West London - albeit a less traditional version. Perhaps we should not be too harsh on Young's and others for their modern take on the traditional pub sign. After all, they are still ordering bespoke signs and supporting a dying trade. Martyn Cornell is a serious beer writer. By that I mean he writes serious stuff about beer rather than this flippant rubbish. His book Beer - The Story of the Pint is a detailed, well-researched chronicle of our favourite drink. Roger Protz described it as "a magnificent contribution to the history of beer and should be on every aficionado's bookshelf." The book was published in 2003 and stands up well among other similar definitive text books. A couple of things have just caught my eye. Martyn is the author of the zythophile blog. 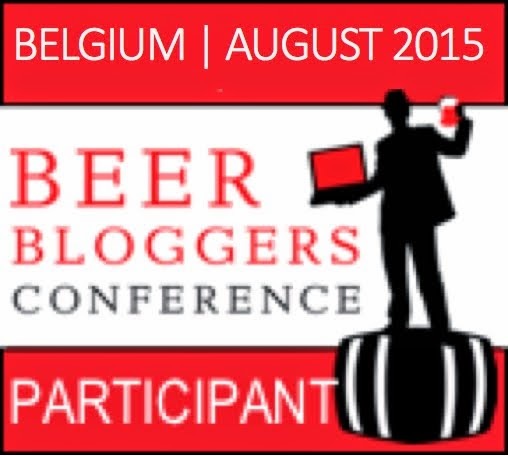 As you might expect this is a more serious read than most of the other beer blogs. Firstly there is a recent post on a short history of yeast. There are books written on most subjects relating to beer but there is very little recently on yeast, that vital ingredient without which we would be lost. This article is a serious but readable piece. Secondly, Martyn has just published an e-book called Amber, Gold & Black, the most comprehensive history of British beer styles of all kinds ever written. Astonishingly, this is the first book devoted solely to looking at the unique history of the different styles of beer produced in Britain. Some 16 chapters and 223 pages cover in detail the true stories behind Porter, Bitter, Mild, Stout, IPA, Brown Ale, Burton Ale, Old Ale, Barley Wine, and all the other beers produced in Britain. Available through his blog the book is available for download for only £5. ...a fantastic new beer show which runs from September 25-27. At this unique beer experience you'll find over 20 styles of beer and hundreds of different samples on offer. Visitors to the show can taste free samples of premium beers from around the world, take part in interactive beer tutorials such as Beer and Chocolate, Around the World in Beer and Gourmet Beer and Food Matching. The show also features a team of beer experts who'll be showcasing a hand picked selection of premium beers. CAMRA are taking a stand and I will be leading CAMRA's effort at this event which looks like something a little different to the usual beer festival circuit. An offer on tickets courtesy of Metro is here. Thursday last week saw my judging visit to The Trafalgar in South Wimbledon, London's winning pub for 2008. Although I have been to the pub on occasions before and had a good time, this visit was a big disappointment. Arriving at about 1.45, the pub was deserted. As I was the only customer for over an hour, it was impossible to score properly for atmosphere, style and decor and also clientele mix. I had expected the beer quality to be excellent based on previous visits but, with no customers, it was no better than good despite the barman pulling off a half pint before each pint that I ordered. I will visit again for the presentation on the evening of 2nd October when I expect all of the boxes to be ticked. However, even averaging the scores of two visits will unfortunately not give a high score. This was a clear winner for London based upon 10 sets of judges all visiting a different days and times. I have faith in the judging process and will also have faith in the Trafalgar as it is a fabulous pub. Alas, on this occasion, it did not score well. Arriving over the weekend was the latest issue of First Draft, the quarterly magazine of Fullers Fine Ale Club. This is an 8 page, A4, glossy newsletter bringing news from Fullers about their beers mixed with some short articles about brewery tours, Irish whiskey, Protz on lack of information on bottle labels, the Ryder Cup, a couple of beer recipes, some competitions and some money off vouchers. It is a fine way for Fullers to keep their customers informed and another example of the company going a little extra to keep ahead of their competitors. Membership of Fine Ale Club is free. Email your name and address to finealeclub@fullers.co.uk. The latest mailout from CAMRA HQ includes the latest analysis on membership numbers. Membership currently stands at a beefy 94,585. On current growth the 100,000th member will join sometime over the next 6 months and will be rightly trumpeted as a fantastic achievement. There will be a photocall of that new member and care will undoubtedly be taken to make sure that our 100,000th member does not fit the usual CAMRA stereotype that is oft-time trotted out by the media. In London we are approaching our 10,000th member over the same period. Perhaps it is time for the landmark to be marked with a photocall of a middle aged man, with a beard, a large belly and sandals. Someone with a notebook, a trolley and some panda pop bottles. A brewery T-shirt, a fleece jacket and a baseball cap. Maybe someone who lets his membership lapse each year so that he can rejoin at a beer festival to take advantage of the usual joining offers. Here is another from Young's new portfolio of modern pub signs. This one appeared after a recent refurbishment at The Green Man on Putney Heath, a pub dating from 1700 and owned by Young's since 1831. The history and traditions of the name The Green Man are well documented but I can find no reference to its relationship with a gingerbread man. One of the categories for scoring in the pub of the year competition is "Sympathy with CAMRA aims" - a bit of a catch all category on general CAMRA values. Judging a pub can never be an exact science but by way of illustration, the following is an extract from the judging guidance notes. Relevant CAMRA policies on pubs are summarised below and a POTY candidate would be expected to conform with those policies. On a more general note, does the pub espouse and promote our values? Is cask beer given a positive push here? Is information offered about the ales sold? Does the pub try to stimulate interest in the sorts of issues we’re concerned about? CAMRA policy will clearly count in its favour. and places for informal social drinking. gender, sexuality, colour, ethnic origin or religion. disabilities, who should be treated with care and consideration. therefore expect POTY candidates to give full measure). be dispensed in that way. aren’t produced by or exclusively for that pub. 3.11 We will expose pubs guilty of over-pricing. 3.12 We will promote both mild and real draught cider and perry. My first visit (1/4) to judge four of the last sixteen of pub of the year was to Chequers at Little Gransden, Bedfordshire, the East Anglian winning pub. First and foremost, the beer quality here was first class. The pub is home to Son of Sid Brewery and three of its beers were available. Muck Cart Mild, Spud and Gransden Weiss. I had been impressed with two of their beers I tried at Chappel beer festival last week but all three here were even better. The pub itself is a classic, three bar, rural community pub. On a quiet Friday lunchtime the atmosphere though was somewhat lacking and the style and decor could be described also as rural. The service and welcome was excellent with friendly customers and bar staff. Clientele mix was good albeit slightly difficult to judge at a quiet time. Mainly custom from the local farming community but we were also joined by a small group of young-uns playing pool (but drinking cherry cola). CAMRA aims were well publicised. The usual posters, newsletters and certificates all ticked the box but in addition, locally brewed beer, a permanent mild and a discussion about the St Ives beer festival meant this category scored particularly highly. Altogether good value, beer at £2.60 - £2,75. An enjoyable visit to a classic pub. One disappointment was that the saloon bar was in darkness and we sat in the "rough and ready" public bar area. We would never have guessed the brewery was next door; apparently it can be viewed from the saloon bar. As visits are anonymous, I chose not to ask to have a look but I can't help thinking that scores for service and welcome in particular would have improved had they at least turned the saloon bar lights on. This was close to a perfect pub for me - great beer in basic but friendly surroundings - that's pretty much all I ask for. However, my wife was less than impressed with the lack of comfort and the door left open by smokers. This has set my benchmark for the remaining three pubs at a fairly high level. Not one from Young's this time but I spotted another more modern version of the traditional pub sign on my way to The Bricklayer's Arms Cumbria beer festival in Putney. A copy of this new book was thrust into my hand at Earls Court this year in the hope that I may find something nice to say about it in London Drinker. Anyone who has seen Chris (aka Podge) Pollard and Siobhan McGinn's previous book, Around Bruges in 80 Beers, will be familiar with the style. That book was so successful that it is now out of print with an update due later in the year. This book is a collection of 80 beers available in London matched with 80 different places to try them. From the quaint old ale houses that we all know and love to more quirky establishments such as a cinema, a bowling alley and even a bookshop. The beer choices are just as eclectic, from the darkest porter to the lightest pilsner, from our favourites such as Fullers Chiswick to rarities such as Aecht Schlenkerla Rauchbier traditionally hard to find in the capital. As CAMRA members it is easy to be blinkered and take little notice of beers and bars that are not real ale. This volume includes many beers and bars that are missed by the usual CAMRA guides which by definition cover real ale only. There are German, Belgian, Czech and American beers and bars - even Scottish, Irish and Cornish ! There is plenty here to keep one refreshed and I look forward to taking a stroll around town to seek out some of the more unusual places and their delicious beers. It really is an excellent book, thoroughly researched and well presented in glossy style packed with photos. It is published by Cogan & Mater and available at www.booksaboutbeer.com for £7.99 and is also likely to feature at London CAMRA beer festivals throughout the coming year. 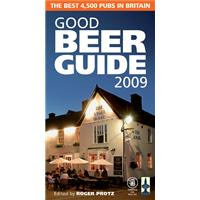 The Good Beer Guide launch brings with it the next phase of the 2008 CAMRA Pub of the Year competition. In the spring each branch put forward their favourite pub for judging at their regional level and the regional winners are now declared and set out below. It is now my pleasurable duty to judge the next level - the super region. The CAMRA regional directors visit their 4 nearest pubs before 31 October and the winner of each of the 4 super regions goes through to the final. My first visit will be to the East Anglian entry, The Chequers in Little Gransden. A visit today to Chappel & Wakes Colne beer festival hosted by Essex branches of CAMRA. This festival is held at the East Anglian Railway Museum and as you can see the beer is stillaged among vintage railway carriages and other stock. The best facility is a victorian, cast iron, 2 bay, open air, urinal. While taking a visit, I was somewhat disconcerted to be sharing my wee with a slightly well-to-do lady of mature years. "Oooh, I just came around to have a look", she declared. "No comment" said I ! I don't get much correspondence for the attention of the London Drinker editor but this one arrived in my inbox recently. I wish to take this opportunity to ask you as to how the very name for you're publication came about and if you think it portrays a positive image to the pub going public at large? I have to say that for me at least as well as others to whom I have spoken, the name conjures up rather unfortunate images of old homeless on the proverbial park bench of life as well as young loutish tearaways on buses abusing their use of liberty as well as other transport users. I guess that this is merely an oversight of some sort on the part of the organising committee and for all I am aware the magazine itself may have been in existence for many years (I've now been reading it with pleasure for five point five of those) but in light of the current political climate concerning the issues of 'drink', I wonder if a change of 'branding' would not be slightly more apropos of caution? as I for one would hate the very thought that some may (mis? )construe the name as portraying a negative image of the ale drinking populace as a whole. As it is many of the ale drinking faces that I see and rub shoulders with do not to my own mind at least seem to be portraying a particularly what I would describe as positive image of the community that are likely to read and probably contribute to the London Drinker as a whole due very much of the unclean or unwashed appearance that so many of them seem to want to live up to. This I have to say is particularly prevalent in the older generation (s?) of beer drinkers whereas those of a much younger age group that I see at some of the beer festivals (fashionable facial stubble aside, rather than mandatory facial OVERgrowth)seem to laugh quite audibly at their elder counterparts because of this. I am one who sits back with my pint and observes the world passing by with interest and sometimes concern at those things in which I have a vested interest. So on that note of corporate if that be the correct turn of phrase image I wonder what the thinking is or was behind the naming of such a platform? Maybe a competition could be featured in the LD to guess this as in "win a case of....." or such. Or perhaps one to rename the future of it. Hoping and trusting that I have not and am not causing any offence in any way or means by making these light hearted suggestions and enquiry. "Count Arthur Strong is a fictional comedy character created by English comedian Steve Delaney. He is an elderly pompous out-of-work deluded thespian from the North of England who is challenged by attention deficit disorder and memory loss. He is apt to use malapropisms in his attempts to sound educated"
Hang on, that sounds just like ..... nope probably best not to go there ! The 2009 Good Beer Guide has landed and is the usual beefy tome at 900 pages. However, the first deletion arrived in my inbox earlier this week. The Wheatsheaf on Putney Bridge Road in Wandsworth, SW18 is to be closed by Youngs. Described in the Guide as ...a fantastic unspoilt pub ....a little gem ... welcoming.....worth seeking out, The Wheatsheaf made it into the book for the first ever time in 2008 and is retained for 2009. This is of course, no mean feat for the licensees given the abundance of excellent pubs in the Wandsworth area. The Wheatsheaf is a tiny pub, a legacy of a bygone age, where the beer drinker was king, and after work drinking holes were always full. My favourite memories of it will be after visits to the brewery or agm on the usual tour of Wandsworth. There used to be a large pub dog, doberman type, who , given the slightest invitation, would disconcertingly choose to sit on your lap. The pub will be closing on Saturday 27th September. However, every cloud has a silver lining and I am pleased to report that the licensees of The Wheatsheaf are moving to their nearest other pub, the Crane, Armoury Way. This has been a pub fraught with problems for years. Flooding was the latest but Youngs have now invested in yet another refurbishment, this time to include flood protection and the pub will be opening on 28th or 29th with hosts who now have a reputation for one of the best pints in town. The Crane has not been in the Good Beer Guide for approaching 25 years so there is clearly a job to be done on the real ale side. I look forward to a visit in the interests of research. "If you are putting on a cask ale for the first time, put it on at a good price. It is difficult to push up prices later." "Install an extra handpump, even if it isn't connected. It makes people think you run a real-ale pub"
"Don't turn the pump clip round when the barrel is empty. It gives the impression the beer is off. Instead, put a sign on the handpull saying : the beer is being conditioned." My wife dragged me along to the Barnes Wetlands Centre the other day for a little wildlife spotting. Not much to offer for the beer lover but I did learn that Pedigree is named after the French for a crane's foot - pied de grue. Spotted a couple of griffins in the local pub, The Red Lion. (Is a griffin a bird ?) but also spotted a cuckoo in the griffin's nest. Nestled alongside the London Pride and the ESB was the lesser spotted Timothy Taylor Landlord Bitter surely a stranger in such surroundings.